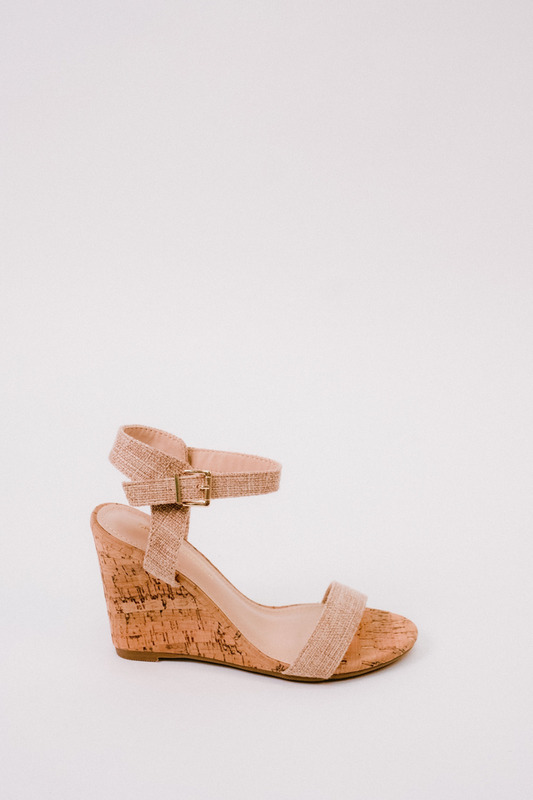 Taupe strap cork wedge. Measures 3.75” tall. Sorry, this item is out of stock online. Please contact us and we will do our best to locate it in one of our stores. 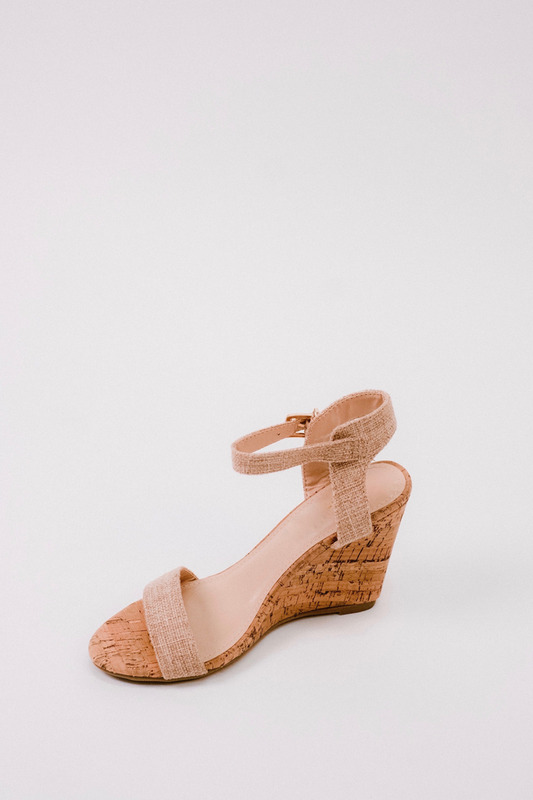 Black strap cork wedge. Measures 3.75” tall.